It feels like only yesterday when 'Game of Thrones' made its epic arrival on television screens around the world; but now, seven seasons and sixty-seven episodes later, the time has come for fans to say goodbye to their favourite characters (or at least the ones who have survived this far). George R.R. Martin is, of course, infamous for his ruthlessness with the fate of his characters; however, one fan theory suggests that not all of those who we've seen die are actually dead. According to this theory one character, whose death that we supposedly witnessed in the seventh season, could now return in an unexpected turn of events. 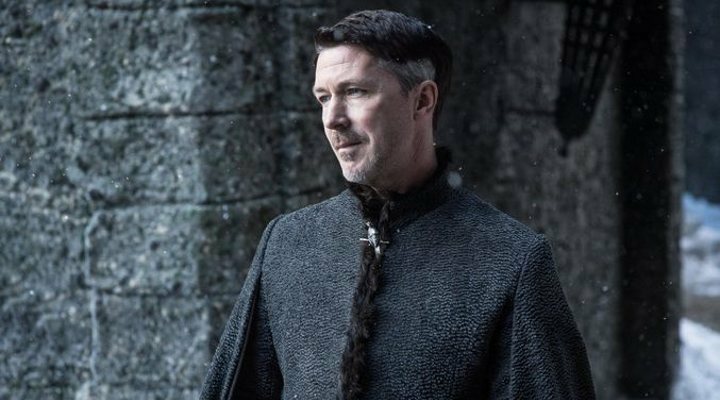 It speaks of none other than Petyr Baelish, aka "Littlefinger", explaining how the character may have faked his own death in the season finale. In the fan's Youtube video they suggest that the cunning Lord Baelish (Aidan Gillen) may have paid one of the infamous assassins, the Faceless Men, to take his place, perhaps suspecting that Sansa Stark (Sophie Turner) would try to have him killed. The Faceless Men, the same group which recruited Arya Stark (Maisie Williams), are masters of disguise and usually use their ability to transform their appearance in order to kill undercover. During the fifth episode of Season Seven, Lord Baelish was seen meeting with an unknown figure during a brief scene, thus reinforcing the credibility of the theory as the unseen character could well have been one of the assassins from Braavos. In the said scene Littlefinger hands over some money to the figure and whispers: "Your moment has come." Supposedly, each scene after that moment in which we see Baelish is actually one of the killers in disguise, using his face as a mask. It is also worth pointing out that Petyr Baelish's grandfather emigrated to Westeros from Braavos, the city in which the Faceless Men reside, and thus it would follow that Littlefinger knew of their existence. Luckily for 'Game of Thrones' fans, it does not seem that they will have to wait for long after the eighth and final season of the HBO series before return again to Westeros. Entertainment Weekly notes that the ball for George R.R. Martin's prequel series could begin rolling as early as this summer. Although the date for the release is unknown, the head of programming at HBO, Casey Bloys, has declared on more than one occasion that the prequel will be definitely be coming to screens after the end of the epic saga. The eighth season of 'Game of Thrones' begins streaming on 14th April this year.